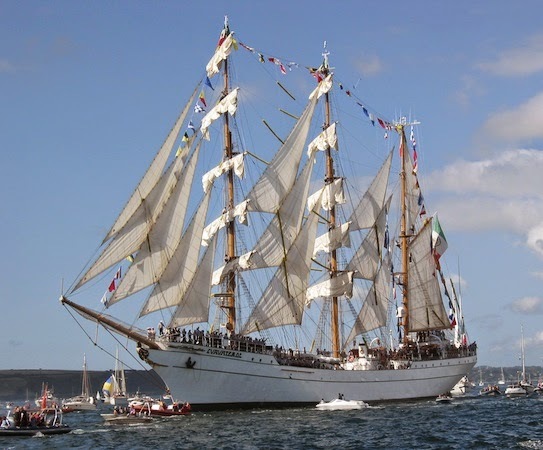 Falmouth once again welcomes the wonderful Royal Greenwich Tall Ships Regatta to our shores from Thursday 28th to Sunday 31st August 2014. We're so lucky to have this prestigious event back in Falmouth, last seen in 2008 and before that 1998! The ships arrive on the Thursday, and there are numerous events and viewing opportunities until their departure on Sunday 31st August. Sunday is arguably the best day of the event when all the magnificent ships parade out of Falmouth, past St Mawes and St Anthony's Headland, along the coast past Gyllyngvase and Maenporth, towards Helford before starting their race towards the Manacles. 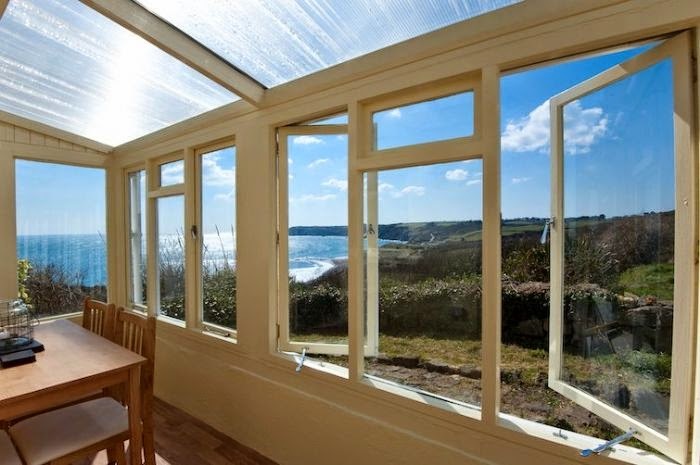 The Sea House, at Packet Quays in Falmouth has one of the best views of Falmouth Harbour you could ever hope for. Double doors from the lounge lead out onto the terrace and practically have your feet in the sea. This is my top pick for watching the Tall Ships celebrations. Sleeps up to 4 people, in two double rooms, with parking, from £663.20 for a week, from Friday 29th August. 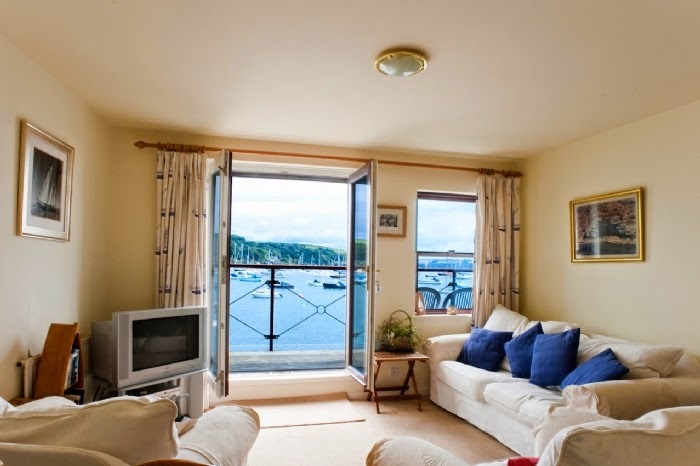 New Quay Lodge, Flushing, looks across the Penryn River towards Falmouth, comes with parking and fantastic views. You can get a foot ferry from Flushing to Falmouth so you can enjoy all the fun of the activities but return home to a nice peaceful house. Sleeps up to 7 people, with parking and free WiFi, from £975.20 for a week from Friday 29th August. Holly Cottage, Coombe, one of our most popular properties for 2014 miraculously with a free week! The peaceful creekside location is a fantastic getaway, with everything you could wish for in the cottage. 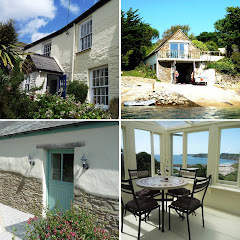 Sleeps up to 6 people, easy reach of Truro & Falmouth, from £975.20 for a week from Friday 29th August. Turn a Penny, Coombe, are you looking for a romantic getaway for two with the added bonus of a Tall Ships race? Book here now... This cottage is a perfect romantic getaway, or for those looking to catch up on their reading by the sea. 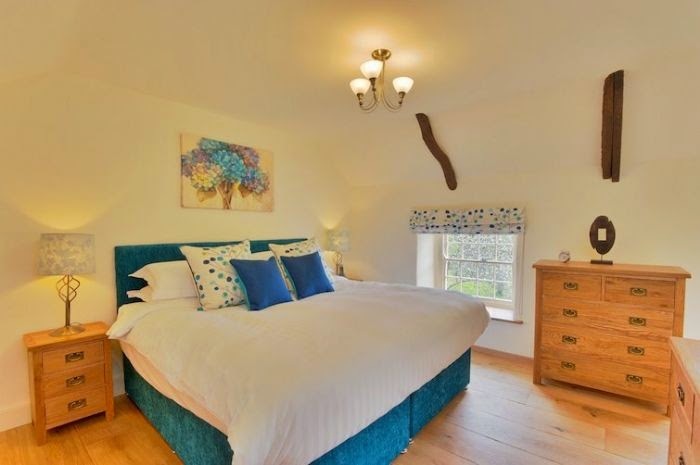 Sleeps two people, in cosy luxury, from £743.20 for a week from Friday 29th August. Wild Acres, The Lizard, enjoying a bumper season right above the beach at Kennack Sands. 20-30 minute drive will get you to a number of great viewing spots near the Helford River. West Cornwall is within easy reach, or if i were you I'd pack your kindle, cosy and a cork screw and have a very relaxing week. Sleeps up to 4 people, from £663.20 for a week from Friday 29th August. Gwendreath, The Lizard is a fantastic house suitable for two families to meet and make memories to last a lifetime. With 180 degree views and scoring 4.8/5 on guest reviews, you don't need me to tell you why to book! Sleeps up to 8 people, within walking distance of the beach, from £1231.20 for a week from Friday 29th August.